Elizabeth Corwin, PhD, RN, associate dean for research at the Nell Hodgson Woodruff School of Nursing, has been appointed as an Edith F. Honeycutt Chair in Nursing. The Honeycutt chairs were established in 1990 through an endowment gift from the Community Foundation of Greater Atlanta in honor of Edith F. Honeycutt, 39N, who was an oncology nurse and the private nurse to Atlanta philanthropist and Coca-Cola magnate Robert Woodruff and his family. The Honeycutt chairs recognize faculty who have made significant contributions to nursing practice and education. "Dr. Corwin has continuously advanced the quality, visibility and reputation of the Nell Hodgson Woodruff School of Nursing's research program," says Linda McCauley, PhD, RN, dean of the Nell Hodgson Woodruff School of Nursing. "She has fostered a culture of interdisciplinary research and collaboration that has resulted in millions of dollars in grants and has engaged investigators in solving challenges of great societal importance." As associate dean for research, Corwin has grown the School of Nursing's research program into a $15 million a year enterprise and a nationally-recognized center of scholarship, scientific excellence, innovation and achievement. In 2016, the School of Nursing earned distinction as the nation's top-ranking nursing school for National Institutes of Health (NIH) research funding. 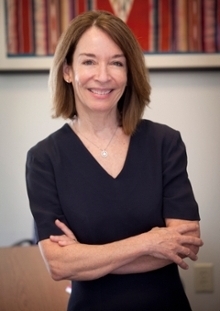 Corwin co-leads, with Anne Dunlop, MD, MPH, the Environmental Influences on Child Health Outcomes (ECHO) program, a seven-year national study sponsored by the NIH to explore the effects of environmental exposures on environmental health. The project is the only nurse-led project in the study. Emory is one of 30 collaborating universities and research institutions and expects to receive nearly $14 million over the duration of the project. Emory College of Arts and Sciences' Psychology Department, the Rollins School of Public Health and the Emory School of Medicine are also collaborators on the project. Corwin also serves as principal investigator (PI), along with Dunlop, on the five-year NIH-funded study "Biobehavioral Determinants of the Microbiome and Preterm Birth in Black Women" (R01NR014800). She previously served as PI on the recently completed five-year study "Psychoneuimmunology of Postpartum Depression" (R01NR011278), and on the School's P01 "Caregiver Stress: Interventions to Promote Health and Wellbeing" (P01NR011587), and co-Core director on the School's P30 Center for "Cognition and Affect in Chronic Illness" (P30NR014134). She is PI on the "Maternal Stress and the Gut-Brain Axis in African American Infants" (5 R01MD009746-02 NIH) grant that follows the infants born to the moms in the prenatal study. Her research has been published in a number of leading journals. She is a fellow of the American Academy of Nursing and was inducted into the nursing honor society Sigma Theta Tau's International Nurse Researcher Hall of Fame. She is also the author of the Handbook of Pathophysiology, which is used by nursing students across the United States and China.